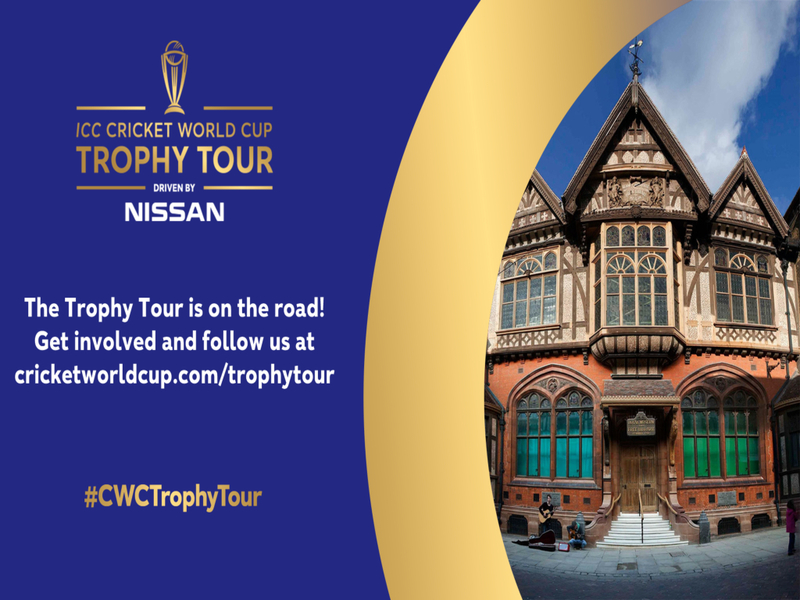 Kent Cricket and The Beaney House of Art & Knowledge are delighted to announce that the ICC Cricket World Cup trophy will be coming to Canterbury on Tuesday 14th May as part of the ICC Cricket World Cup Trophy Tour, driven by Nissan. The Trophy will be on display at The Beaney for visitors to see on the 14th May between 2pm and 4:30pm in the Explorers and Collectors Gallery. Admission is free. The 12th edition of the Cricket World Cup will be held in England & Wales from 30th May – 14th July. The first match will be played at The Oval while the final will be played at Lord’s. It’s the fifth time that the Cricket World Cup will be held in England and Wales, following the 1975, 1979, 1983 and 1999 World Cups. More details to follow – watch this space for updates!